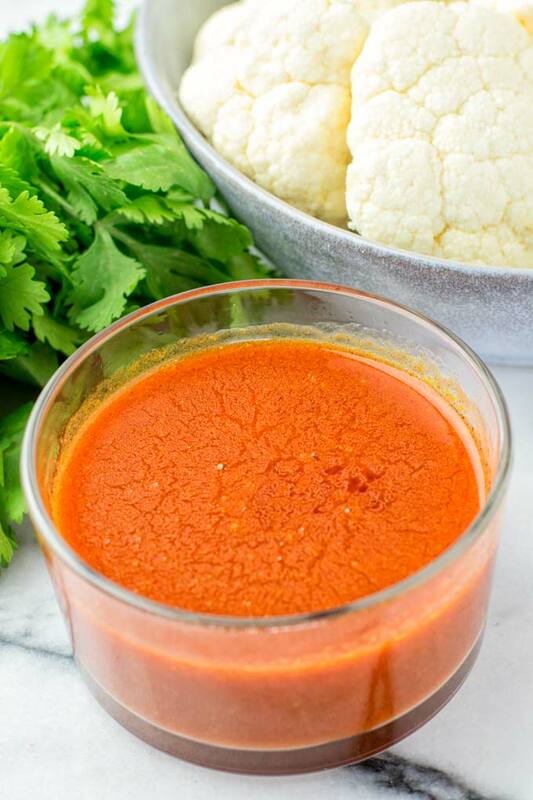 This Buffalo Sauce will be a never ending instant hit in your family. 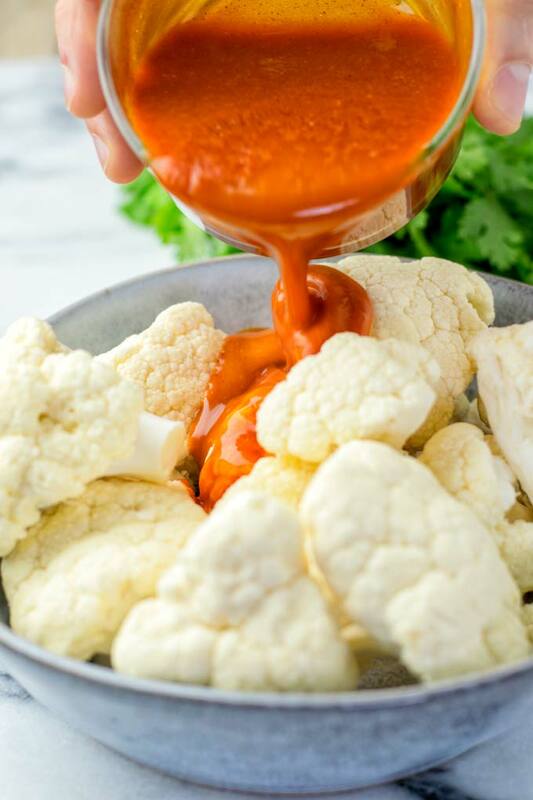 It is not only super easy to make from vegan butter and hot sauce, it is also versatile and the best choice you can make for all favorites such as buffalo cauliflower, cauliflower buffalo wings, veggies, popcorn, fries, mac and cheese, and so much more. 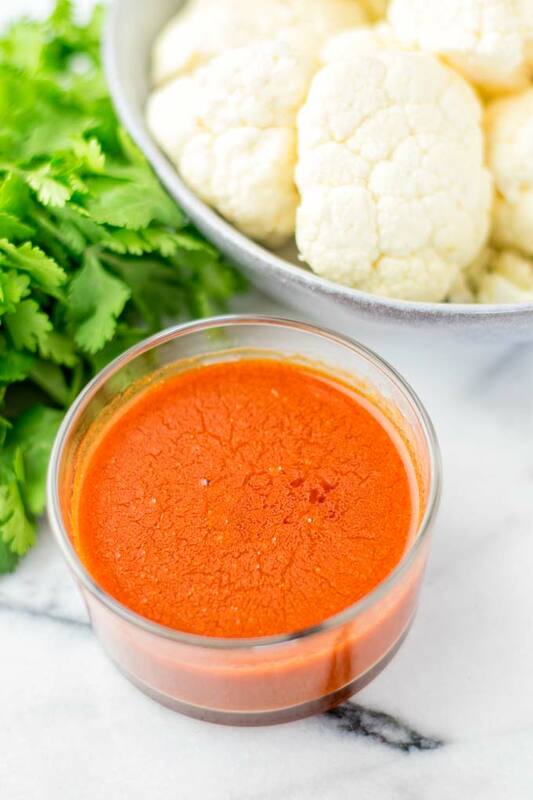 No one would ever guess this buffalo sauce recipe is naturally vegan, gluten free and done in no time. You wouldn’t believe me how much it tastes like the real deal. Just think of all the amazing dishes you can use this sauce for! I recommend trying it with my Rice and Beans Quesarito for a fun and tasty meal prep idea. I hope you’re all as excited as I am for this easy buffalo sauce recipe. It’s versatile, satisfying, buttery, rich, spicy, comforting, always a favorite that everyone will get a big soft spot on. Basically all you need is only 5 simple ingredients that you might already store in your kitchen. So there is no need for countless shopping tours from store to store. We’re going straight forward: heat vegan butter in a pot, then add minced garlic, maple syrup, hot sauce and vinegar. Finally add a pinch of salt and pepper and heat everything until it simmers. Turn down the heat to make sure not to overcook and let it simmer for around 5 minutes. Let the sauce cool completely, then store in an airtight container or sealed jar. It will stay fresh for 10 days. So it really makes make ahead meals so easy. This makes such an amazing condiment for everyday cooking that you do not want to miss for any easy meals. Once you tried it you know you want this homemade buffalo sauce always. The secret is definitely the vegan butter which makes the sauce so rich, buttery and truly irresistible. You see we also add maple syrup as well. You might think why do I use a sweetener here, right? Because it really takes the buffalo sauce to the next level and adds the right flavor contrast to heat in addition to the spiciness. 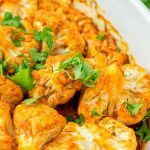 Buffalo cauliflower: As I mentioned above this easy sauce recipe makes such an amazing marinade for cauliflower buffalo wings. 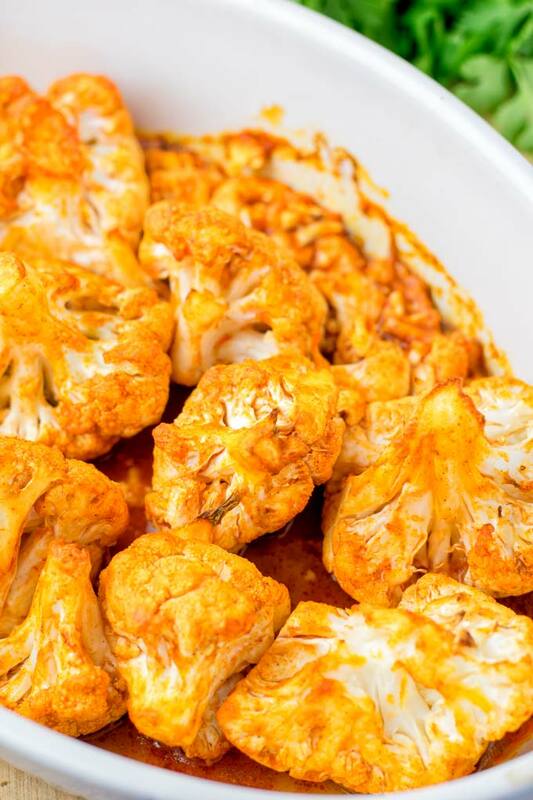 Seriously it adds so much flavor to plain cauliflower. 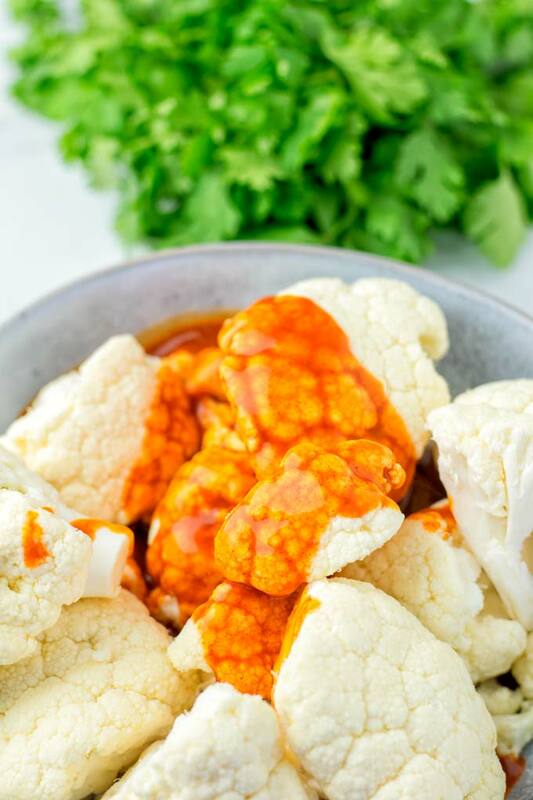 Just pour the sauce over cauliflower florets and let them sit in the marinade sauce for around 15 minutes. Put them in the over oven for 20 minutes at 410°F, yum. Buffalo broccoli: Ready for something different? Try broccoli, just marinade florets in the sauce and do everything like you do with cauliflower. Lasagna: If you are really into flavor, skip the marinara sauce and replace it with buffalo sauce in your favorite lasagna recipe. 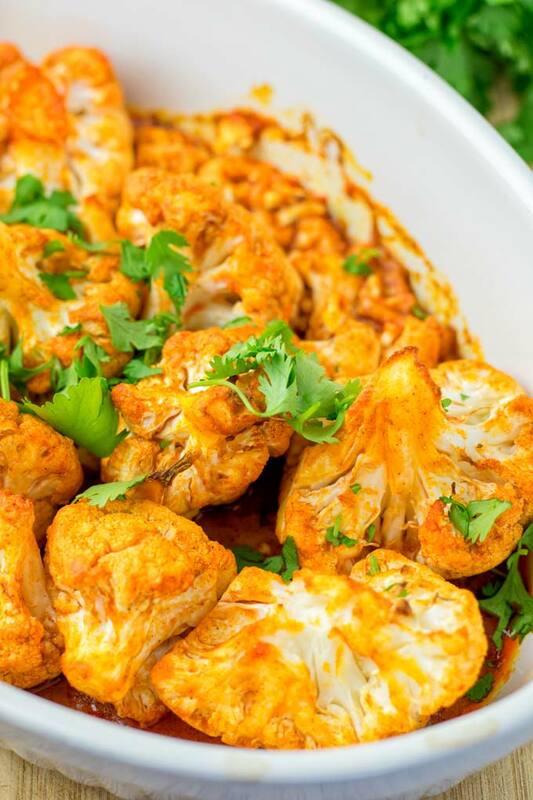 You can try this with my Buffalo Cauliflower Lasagna but then there is no need for the extra hot sauce so skip it. Marinade sauce: Use the sauce to marinate whatever you like – your tempeh, tofu, seitan. If you give this Buffalo Sauce a try, tag me on Instagram and Facebook with a picture so I can see all your amazing remakes, yum! Heat vegan butter in a pot, then add minced garlic, maple syrup, hot sauce and vinegar. Add a pinch of salt and pepper and heat everything until it simmers. Turn down the heat to make sure not to overcook and let it simmer for around 5 minutes.